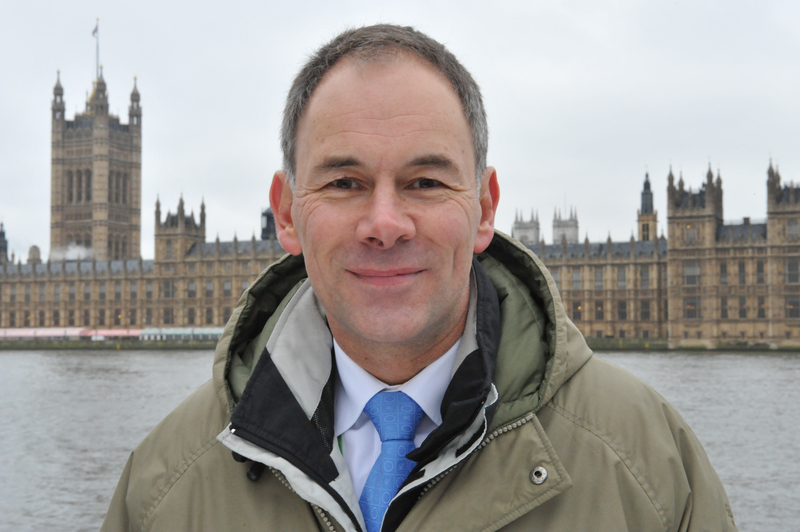 Much emphasis is placed on the need for energy efficiency from policy makers and business leaders. 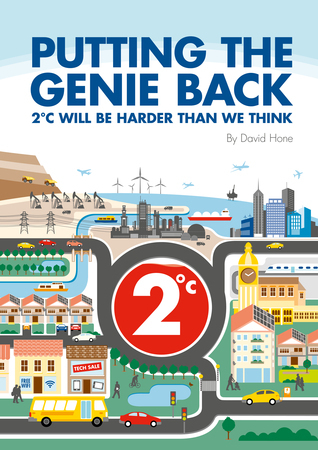 We hear about how well certain enterprises are doing and how we need to replace our domestic boiler, insulate our homes and use public transport. Some leaders have even argued that energy efficiency is close to a single solution to energy prices, emissions and access in developing countries. 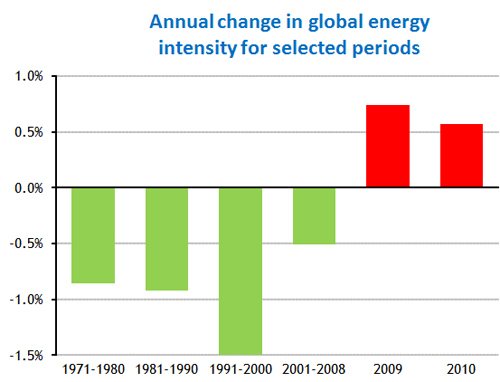 But the stark reality of energy efficiency trends at the global level is the opposite to that which is desired. There is doubtless an impact here related to the financial crisis, but even before that the trend had started shifting. Perhaps since the gasoline lines of the 1970’s but certainly since 9/11 in 2001, a focus of US foreign policy has been security in the Middle East and by implication oil supply security. Although Europe has long been a significant importer of oil its attention has been more focused on Russian gas supplies. But all that is due to change. In the timeframe of the WEO (to 2035) China will become the world’s largest oil importer and the US dependence on oil from outside North America will decline. With increased domestic (NA) production from oil sands and light tight oil (using a similar extraction technology to shale gas), in combination with much tougher energy efficiency standards for cars, light trucks and trucks, US import demand will fall. This could have an eventual impact on global governance as China starts to look at Middle East supply and worries about its security. In the first decade of this century, coal accounted for nearly half of the increase in global energy use, with the bulk of the growth coming from the power sector in emerging economies. Next was natural gas, then oil and after that renewable energy. Nuclear was a distant fourth. That’s an order which is almost the opposite of where we should be going with emissions reduction as a high priority. Basic energy services are an essential part of life today, yet 1.3 billion people in the world live without electricity and 2.7 billion live without clean cooking facilities. The need to correct this has become a global imperative and remarkably this could be done with almost no impact on global energy demand and global emissions. The flip side to this story is the point that I raised back in December when the UNFCCC declared that alleviation of poverty and energy access would become a key priority with mitigation and adaptation. Although “energy for all” is a critical issue, arguably it shouldn’t be on the agenda of the UNFCCC. Their focus needs to be squarely on the other 99.3% of emissions. 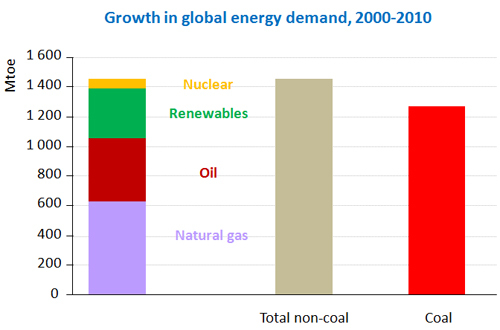 “Energy for all”, as the IEA have clearly demonstrated, is not a climate change issue. One of the longstanding arguments in the global debate on climate change has been that the burden rested with developed countries in that they had created the problem during their long industrial development era. But that situation is rapidly changing. 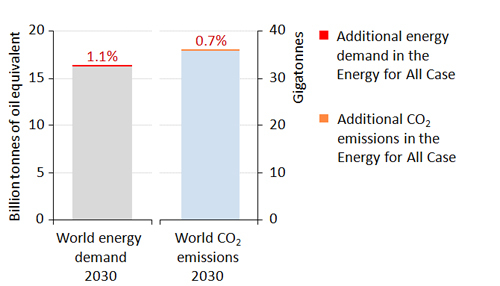 By 2035 cumulative emissions from China will have exceeded the EU and will be rapidly approaching the US. 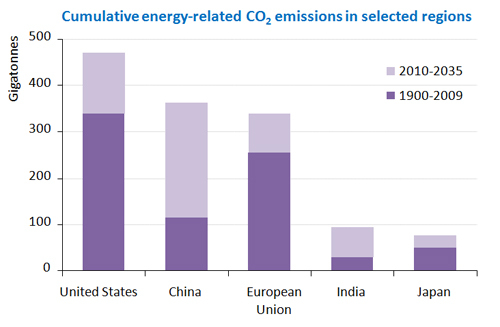 China’s per capita emissions will also match the OECD average by then. This by no means puts the USA and EU in the clear, but it does shift the burden solidly to a tripartite response. Thanks to Dr Birol and the IEA for a stimulating presentation.